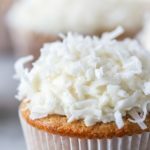 These dairy free coconut cupcakes are made with a combination of all-purpose and whole wheat flours for a nutty flavor that pairs really well with the flavor of coconut. 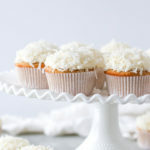 They’re topped with a coconut “buttercream”, and dipped in sweetened, shredded coconut to enhance their coconut flavor. “Consider the coconut” might be the most catchy line from the entire Moana movie. It pops into my head about 85 percent of the time I say the word coconut now. 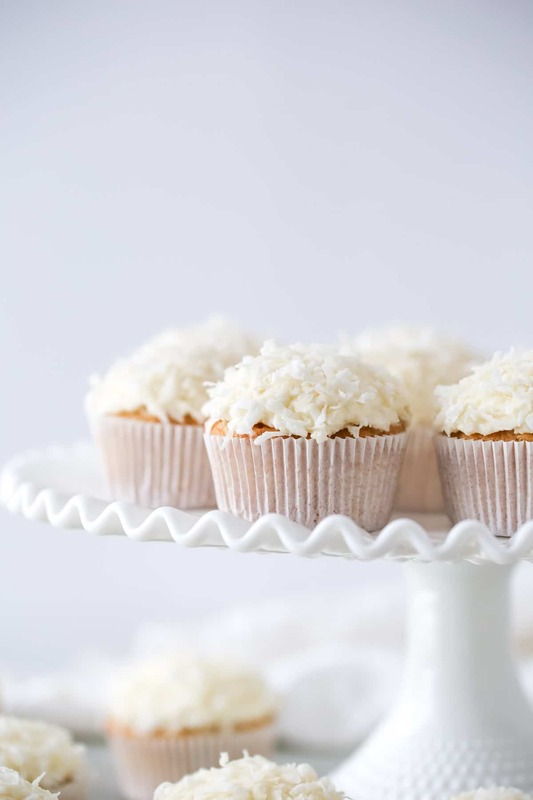 So I’ve been more than excited to make these dairy free coconut cupcakes. It just took me a while. But it’s a good thing, because coconut is perfect for this time of year. Each year for Easter, my mom makes a lamb cake that’s covered in coconut, and while I love the lamb cake, it’s the coconut that I like most. I also look forward to coconut cream candies, but they’re hard to find without dairy in them (they’re on my list to try making with substitutes, but one thing at a time). I’m also obsessed with my Irish potato candy recipe, which is also full of coconut. I guess you could say that I’m crazy for coconut. My favorite thing about these cupcakes is that they aren’t hard to decorate. I’m not a huge fan of cupcakes topped with piles of perfect frosting and toppers. I think they’re beautiful, but I just don’t have the patience. 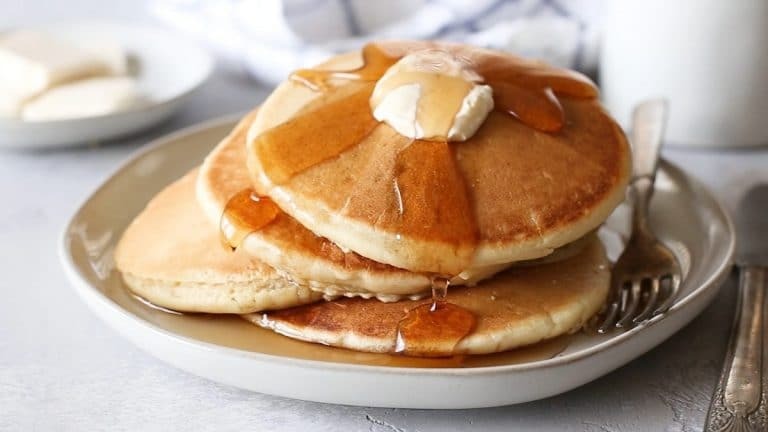 That’s why I love that topping these with shredded coconut hides all their imperfections and flaws. It also takes way less time, so “you’re welcome”. See what I’m doing here, another Moana reference… I’m so smooth. 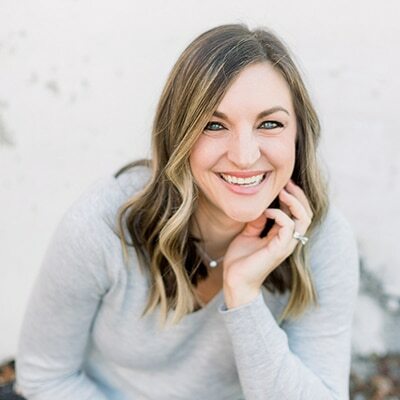 Simply Whisked is a participant in the Amazon Services LLC Associates Program, an affiliate advertising program designed to provide a means for us to earn fees by linking to Amazon.com and affiliated sites. I made these cupcakes dairy free by using my favorite Crisco baking sticks and coconut creme from a can. You can buy a can of coconut cream, or you can let a can of coconut milk separate, and just use the thickened stuff from the top of the can. If you set your coconut milk can in the fridge, it should separate nicely. You’ll just need to plan ahead for that, which is something I never do. Preheat oven to 350˚F and line a 24-cup muffin pan with cupcake liners. In a medium bowl, whisk together flour,s baking powder and salt. Set aside. In a large bowl with an electric mixer, cream shortening and sugar on medium speed until light and fluffy, about 2 minutes. Add extracts and eggs, one at a time, beating until incorporated. Add flour mixture in 4 installments, beating until incorporated and scraping sides of bowl as needed. Add milk and coconut, and beat until smooth. Fill cupcake liners with about 3 tablespoons batter each, or until 2/3 full. Bake for 18-20 minutes, or until an inserted toothpick comes out clean. Remove from oven and allow cupcakes to rest for at least 10 minutes before transferring to a cooling rack. In a large bowl with an electric mixer, beat together frosting ingredients (except the coconut for topping) until smooth. Frost completely cooled cupcakes with a spatula or spoon. Top with sprinkles immediately after frosting each cupcake. 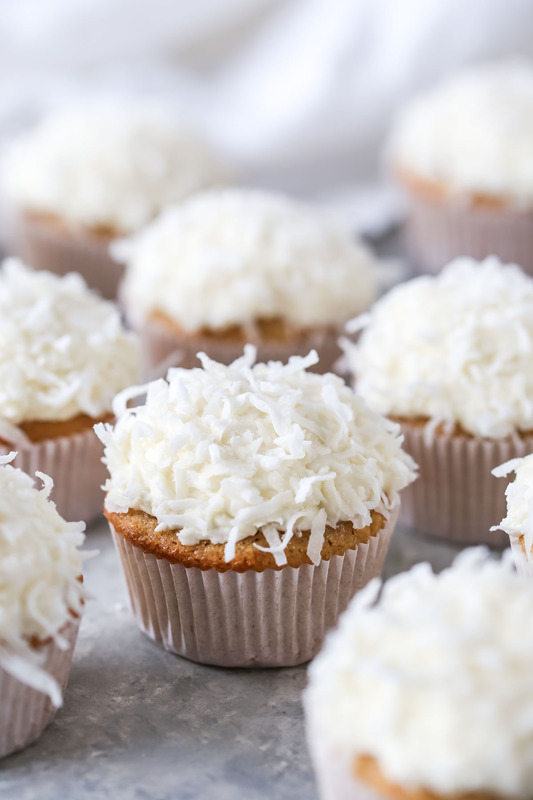 Dip each cupcake in coconut immediately after frosting.